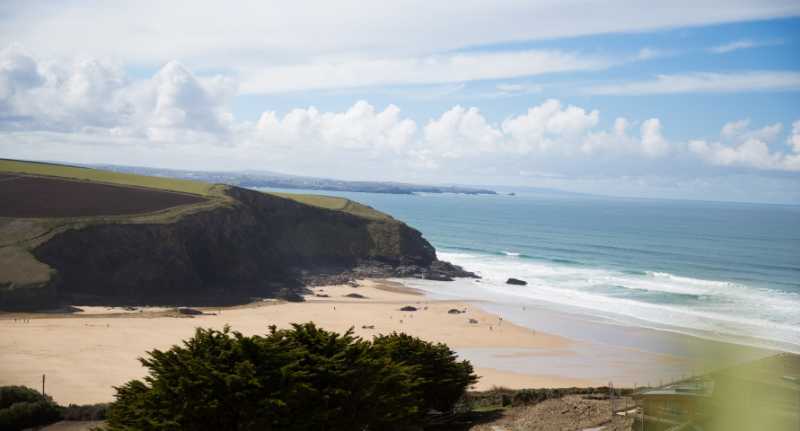 Carne Crest is a comfortable, spacious, ground floor, south facing apartment above Mawgan Porth Bay. It has a large fully fitted kitchen, a dining area and a 23ft lounge with stunning views over the bay ( see picture) . Two double bedrooms, one with this view, have luxurious super king size beds. The third has twin divans. All rooms are en-suite. The south facing patio has an octagonal wooden table with 6 chairs. Located close to the sandy beach, pubs, restaurants, cafes and shops. The accommodation sleeps a maximum of 6, is non smoking and no pets.